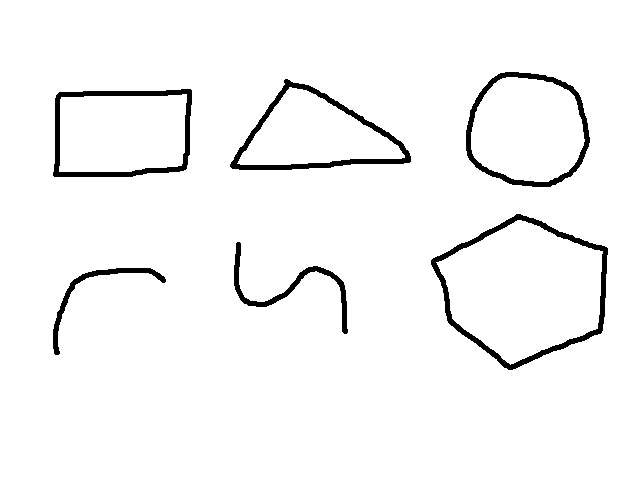 Could OpenCV detect the geometric shapes which is drawn by hand as below? 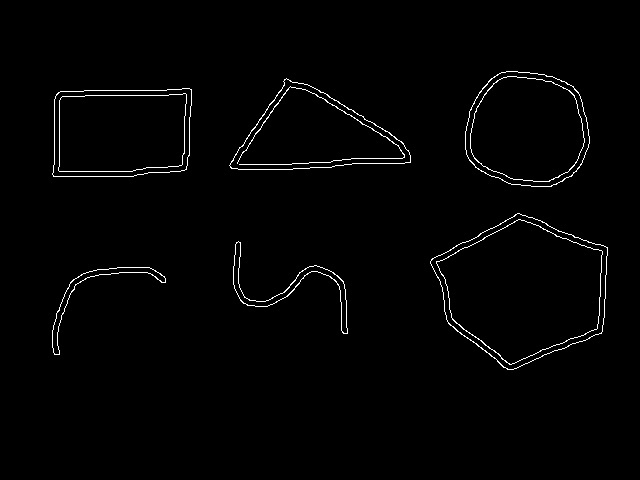 The shape can be a rectangle, triangle, circle, curve, arc,polygon,... 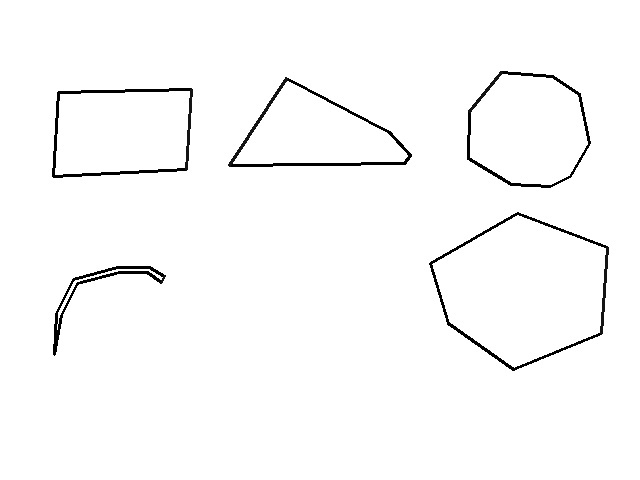 I am going to develop an android application which detect these shapes. for(int i=0;i<contours.size();i=i+4) //for testing reasons. Skeletonize input. Based on the contour points, can I determine current shape is a rectangle/circle/... ? Is there any rule to determine this? And then, for example, If the shape is a circle, Can I get more information about this shape? e.g. Could I do some thing to get the center point and radius? Well, yes you can.Search about cvhoughcircles, contours, cvmoments... Good luck. How to detect shape in openCV?